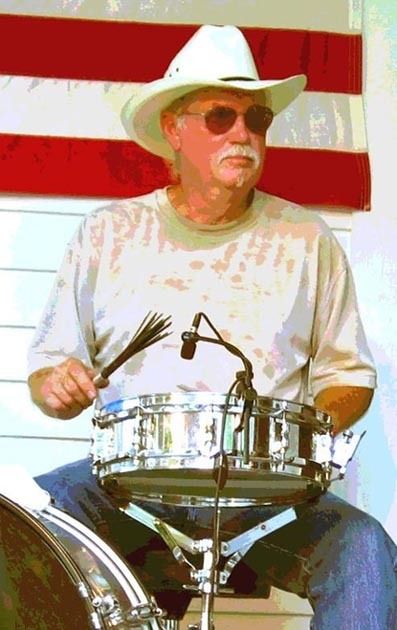 In the world of country music, Richie Albright has made history as a drummer, songwriter, and as a producer. 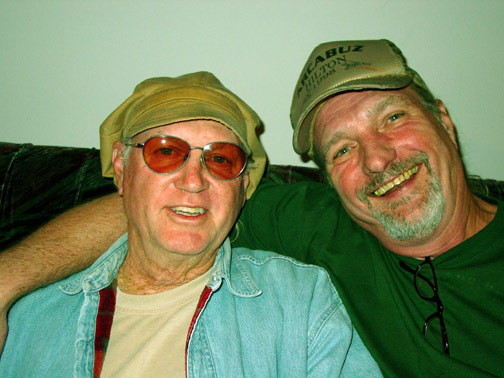 The list of artists he has played with is a long one which includes: Waylon Jennings, Jessi Colter, Willie Nelson, Johnny Cash, Tony Joe White, Tompall Glaser, Hank Williams, Jr., The Jordanaires, David Lynn Jones and so many more. In March, 2007 Waylon's 1980 #1 single, "Theme From Dukes of Hazzard (Good Ol' Boys)", which Richie played drums on and produced, became the RIAA's first platinum-certified country Mastertone recognizing one million purchased ringtones. His pro career spans over 50 years, 40 albums, and he is still going strong producing and performing. The following interview is taken from a 30 minute sit down I had with Richie in Al Jolsons studio in July, 2007. Bronson: When did you start playing drums, what was your first paid gig? Richie Albright: My first paid gig was a high school prom in 1956. Bronson: You're from Oklahoma, right? Richie Albright: Born in Oklahoma and raised in Arizona. Bronson: When did you come to Nashville? Richie Albright: I moved to Nashville in 1966 actually, moved here with Waylon after he signed with RCA. Richie Albright with Bee Spears and check out Meat N 3 Great trio with Richie, Bee, and Ricky Ray. Bronson: How many years were you with Waylon? Richie Albright: Off and on some 28 years. I took some time off a time or two, I had to go rest, I couldn't keep up with him. (laughing) He wore out more people with his energy and everything. Musically it was just the greatest thing. To be able to communicate with somebody on that level. We didn't even say that much, he was a very spontaneous person when we did things in the studio. 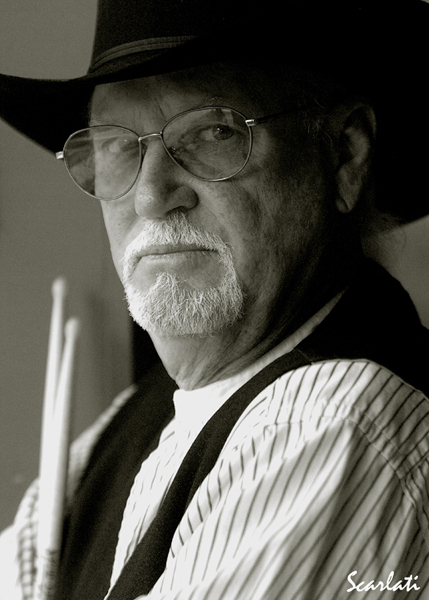 Bronson: There's a lot of drummers out there playing country music today, and they're playing Good Hearted Woman and all of those classic songs that you played on and produced. Were you thinking about that when you were doing that, that you were creating this sound that everybody was going to play? Richie Albright: (laughing) No, that never crossed my mind. I knew that I was playing with a very dynamic, just outrageous, great singer and guitar player, that's what I knew. You know when magic happens it happens a lot so that was a good barometer, I knew he was going to be big, I was just there for the ride man. Bronson: But you're credited with that whole, it's like a back beat thing right? Richie Albright: It's a half time thing. Of course Ralph Mooney said "I was just too lazy to play it right." (laughing) 'Cause I was cutting a lot of those songs in half you know. I was very influenced by Levon Helm during The Band era back then and that's where that really all come from, that feel. Bronson: You worked with Waylon in two different configurations, two different band names? Richie Albright: Yeah, the last one was the Waymore Blues Band. He told me, he said "This is the band I always wanted right here with the horns." He really liked horns and Jim Horn wrote all the charts and everything for the stuff, God it was fun. That's something that I as a drummer, I think any drummer would want to play with a horn section sometimes 'cause it just adds so much punch to the music you know. I'd already written that one off that I'd never do it and I'll be damned if it didn't come back around. We were eleven peice. The first time around we were The Waylors, we were four peice counting Waylon. Bass, drums, rhythm guitar and lead. Bronson: Do you have a preference to playing live or in the studio? Richie Albright: Probably live I enjoy more, the studio is a little more of an intense enviroment. You have to think about things more. Bronson: Weren't you the music supervisor for the Dukes Of Hazard for a while? Bronson: I know you're really busy right now, you're working with Jessi Colter right? Richie Albright: Some yeah, we done an album here about a year ago. She came into town actually about 2 weeks ago and I think she cut five or six things out at Barney's studio. I went out and played on a couple. Bronson: Any advice for someone just starting out? Richie Albright: The only thing I can say is write a hit song that nobody can deny. You got that they can't turn their head to it.